Dive into discovery from the plush comfort of the Baby Einstein Rhythm of the Reef Prop Pillow. This soft pillow turns tummy time into activity time with engaging toys that will captivate your baby. Stimulate all their senses: Enjoy the textures of crinkle leaves, rattle the red crab for clacking sounds and teeth on the leaf-shaped toy. 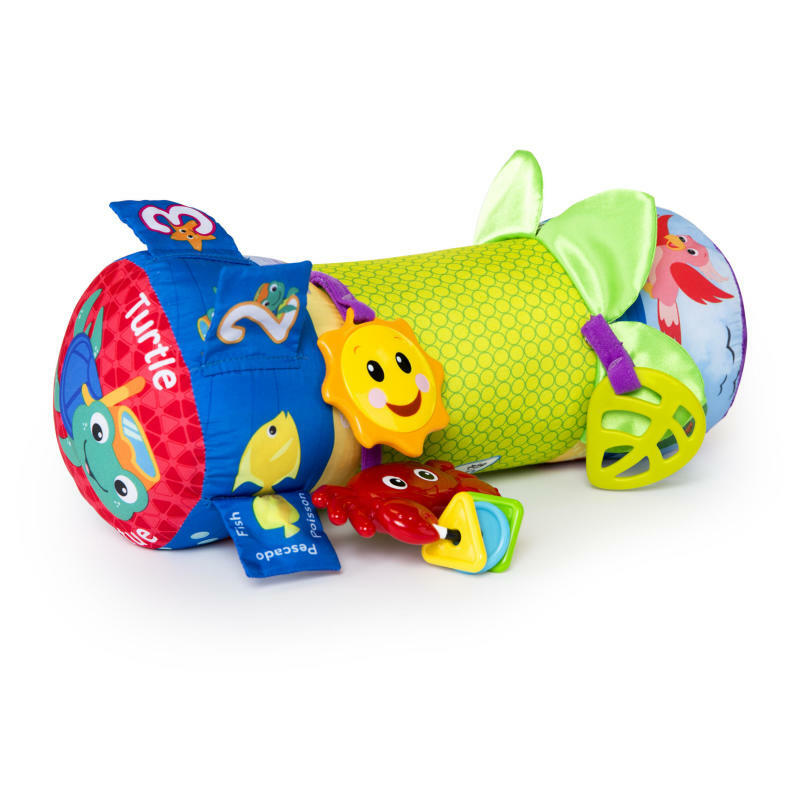 With so many baby activity toys attached to this comfortable prop pillow, you can extend important tummy time to encourage head and neck muscle development. Dimension (in) 17" x 7" x 7"